Anxiety is a very real thing for autistic children. Imagine popping out to the shops for ten minutes and then coming home. When you walk in the door everything is different, the sofa has moved, the TV is gone. The carpet has changed colour and it doesn’t look like your house. You turn around and you are somewhere you don’t recognise. How does this make you feel? Its confusing right? It doesn’t make sense? Maybe you are worried someone has been in your house? Maybe you feel anxious that everything has changed? An autistic child’s world just doesn’t make sense unless everything is in the right place. My house example was a bit extreme but that is how even small changes can feel to autistic children. Imagine you have a presentation to do at work and you’re nervous about it. On the way you get stuck in a traffic jam and you might be late. You’ve needed to use the toilet all morning and you wanted to read through your notes before the interview but now you aren’t going to have time. You’ll just have to wait to use the toilet and try to remember the notes you were relying on knowing. You walk into the room and your boss’ boss is there to watch. You realise you forgot your laptop. Your anxiety has been building all morning but this is the point where you really start to panic. Your heart is racing, your muscles tense, you start to sweat and your stomach starts to hurt! These are the sorts of feelings that autistic children can get on a daily basis. Anxieties build up throughout the day until one small thing might be the last straw. 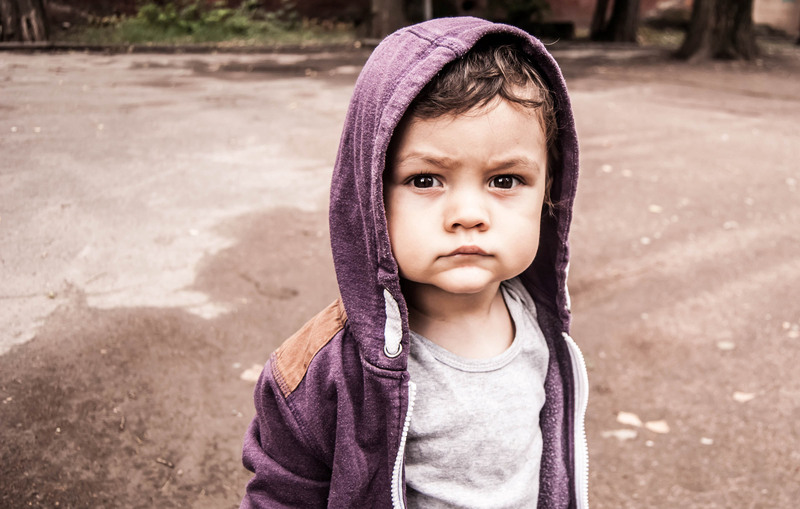 Looking at the child we might think everything is fine meaning we don’t always understand why they have overreacted to someone walking past them, dropping their pen or realising there is no drink where they thought it was. The anxiety however, might have been building since they woke up that morning. An autistic child probably won’t be able to tell you they are feeling anxious either. They may not recognise the build up of anxiety in themselves and communicating feelings you don’t understand yourself is impossible. Intense anxiety can manifest in different ways. A child may meltdown or shutdown. They may feel ill. Their behaviour might change. Anxiety can also result in repetitive behaviors. There are common themes that make most autistic children anxious such as changes to their environment or routine, unexpected situations or situations where they are experiencing sensory overload. However, every autistic child is different and presents differently so the causes of one child’s anxieties may be different to another child’s. We have to get to know each child and what makes them anxious in order to help them. Most autistic children need routine in order for them to make sense of the world. If everything happens when it should and where is should anxiety can be dramatically reduced. They need to know what is happening and when, so anything unexpected can cause a lot of anxiety.